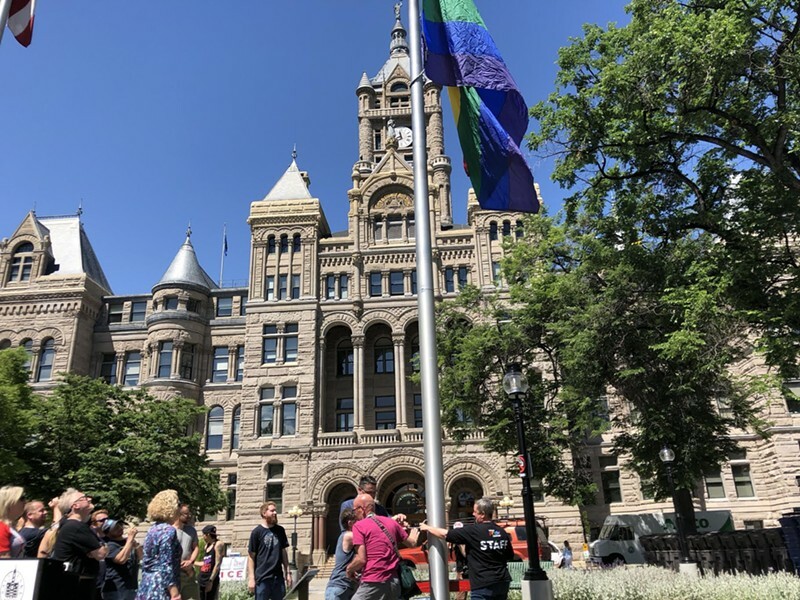 It took a handful of volunteers and some elbow grease, but Salt Lake City Mayor Jackie Biskupski, Utah Pride Center staff and volunteers from this weekend’s Pride Festival raised a rainbow flag outside the City and County building late Wednesday morning. 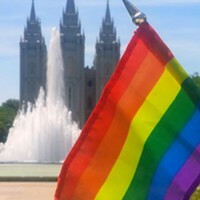 “The Utah Pride Festival is an uplifting reminder of how much we have to celebrate, and should prompt us to never let up in our efforts to ensure full equality, inclusion and empowerment for every member of our LGBTQ+ community,” Biskupski said. 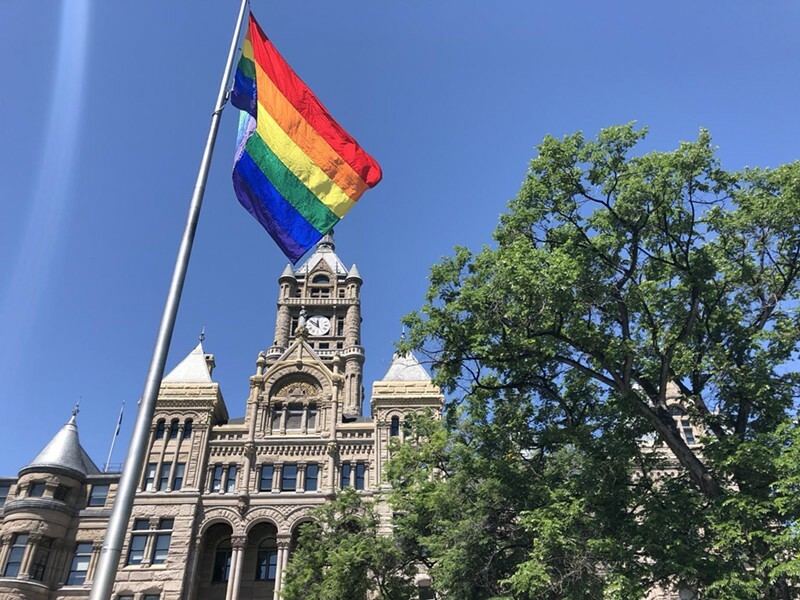 Biskupski read a proclamation declaring June 1 and 2 as “Pride in Salt Lake City” before she and several others raised the flag, formally kicking off Pride festivities. Events begin Wednesday night with the Real Salt Lake Pride Night, and run through the weekend, ending on Sunday with a parade and the second day of the festival itself, which runs until 7 p.m. at Washington Square Park. 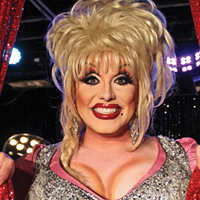 “Utah Pride began with a small, informal gathering of Salt Lake City’s LGBTQ community in 1974, and is now a cultural event, drawing more than 50,000 people annually,” Biskupski said as part of her proclamation. Rob Moolman, executive director of the Utah Pride Center, said a few words thanking the city, mayor and festival volunteers. “Pride means so many different things to so many different people,” Moolman said, explaining that the festival brings families, co-workers and friends together. 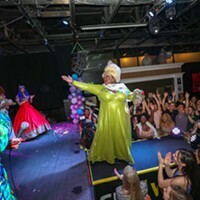 “We’re in the workplaces, we’re in your neighborhoods, we’re right there next to you, and our Pride Festival allows that celebration of people to come together with their colleagues, with their friends, and to celebrate this small part of themselves, which is their gender or their sexual identity,” Moolman added. “We are known as a community to be a safe space for everyone,” Biskupski said, explaining that she expects a diverse crowd of festival-goers this weekend, LGBTQ+ community members, their allies, immigrants and refugees alike. Two friends broaden Utahns' understanding of what it's like to be LGBTQ one podcast at a time. Former LDS bishop hosts talk on why supporting the LGBTQ community and being a good Mormon aren't mutually exclusive. 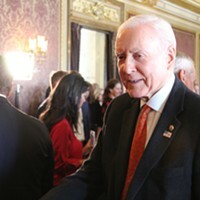 The Utah senator expressed support for vulnerable LGBTQ youth in a floor speech this week. 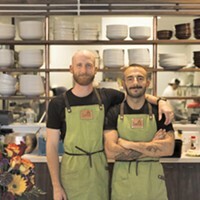 Laziz owners Moudi Sbeity and Derek Kitchen on food, love and community.